Late last month, it was announced that Andrés Iniesta was leaving F.C. Barcelona for a three-year deal with Vissel Kobe. That’s exciting for J League fans, but what must have been cool for Iniesta was meeting the man responsible for his favorite anime. Again. 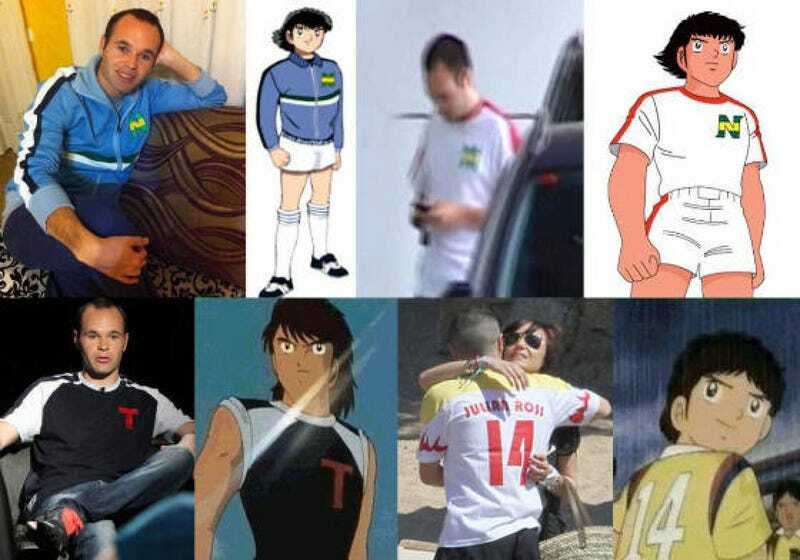 Yoichi Takahashi debuted his manga Captain Tsubasa back in 1981, a time when soccer didn’t have a large following in Japan. It was a hit and went on to spawn several anime that were broadcasted all over the world. “It was the anime I liked most as a kid,” Iniesta said at a recent gathering to celebrate his joining Vissel. “I watched it everyday before school.” As soccer site EiF points out, the show inspired a generation of players. Iniesta has previously met Takahashi, but this was the first time he got original drawings of himself in a Vissel uniform.